For Western New Yorkers another important question is whether to get an all-wheel drive (AWD) or four-wheel drive (4WD) for the snowy and icy conditions during the winter. 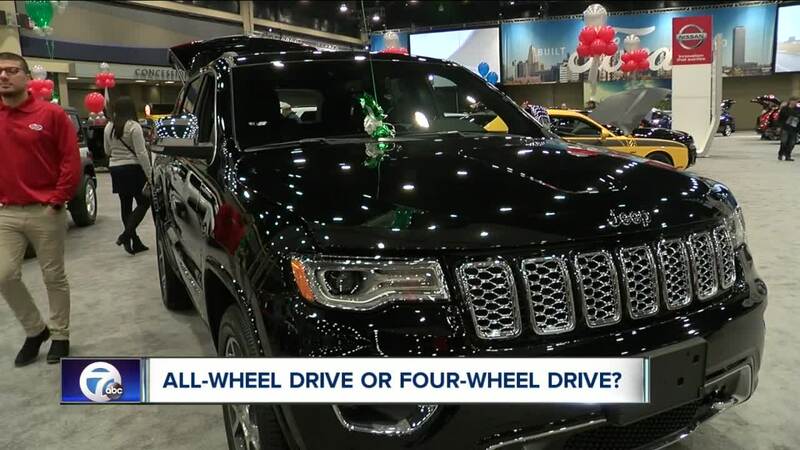 BUFFALO, N.Y. (WKBW) — There are many decisions to make when buying a car; the color, how many people can it fit, gas mileage, safety features and of course the price. For Western New Yorkers another important question is whether to get an all-wheel drive (AWD) or four-wheel drive (4WD) for the snowy and icy conditions during the winter. Car shoppers are debating between AWD and 4WD cars this weekend at the Buffalo Auto Show at the Buffalo Niagara Convention Center. Paul Stasiak, President of the Niagara Frontier Automobile Dealers Association says that AWD vehicles are the best sellers in Western New York. He adds there is actually a big difference between the two. "4WD is more for adverse weather, AWD is less off road potential and more gripping," Stasiak said. "When it comes to four-wheel drive it gives you a lot of power but sometimes it's too much power especially at high speeds," Jay Willams, salesperson at Fuccillo Toyota of Grand Island said. "All-wheel drive will rotate the power between the tries to get the best traction... depending on road conditions, it will keep you the safest." Car shoppers are bringing their questions and checklists to the Buffalo Auto Show this weekend. More than 300 cars are on display for people to check out at the Buffalo Auto Show.